About the Serra de Tramuntana. 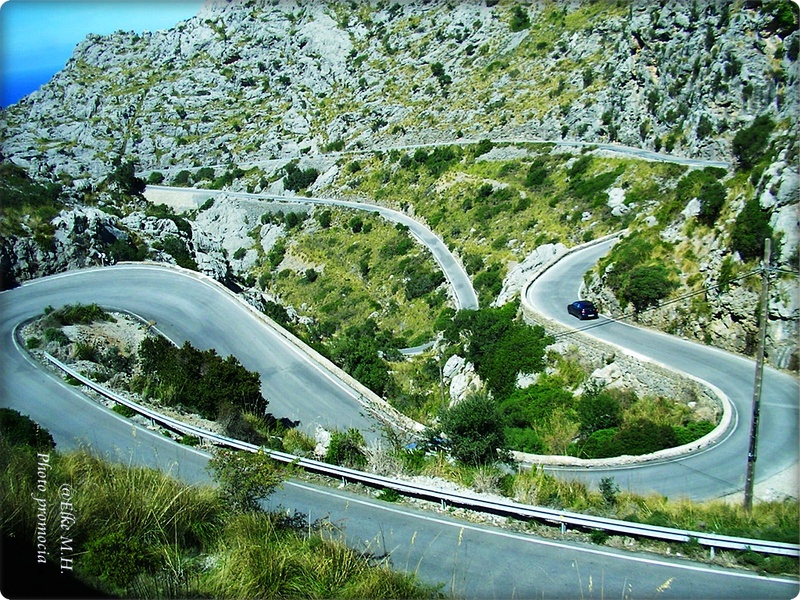 – The UNESCO World Heritage site, the Serra de Tramuntana in Mallorca offers a range of beautiful cycling routes with smooth surfaces, swooping descents and demanding climbs. Spannend allemal, auch als Beifahrer.. Finally caught up with you, Elke. 🙂 I’d love to visit there, but I’d be quite careful if driving. Happy Wednesday. Both by car and by bike you have to drive attentively, on these curative roads.